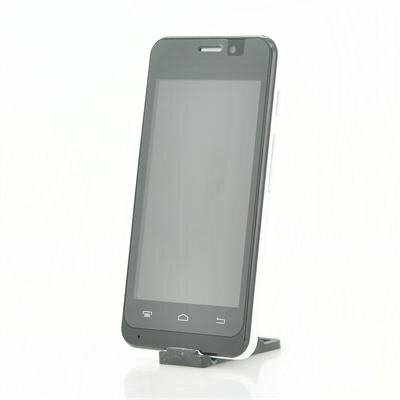 Successfully Added DBphone DB003+ Dual Core Smartphone - 4 Inch 480x800 Display, MTK6572 CPU, Android 4.2 OS 2MP Rear + 0.3MP Front Cameras (Black) to your Shopping Cart. The DBphone DB003+ phone is the latest phone being offered at a wholesale price, which really means a lot when compare to big named brands that are also on the market. Boasting a MTK6572 dual core CPU inside to run all applications and games effortlessly, in addition this phone is can reach speeds of up to 1.3GHz. You will enjoy the fact that this phone comes with an Android 4.2 operating system. With Android, the user with can create a lay-out that suits them as well as using one of the most advance systems on the market today. Practicality and fun is combined as you can take photos and record videos with the DBphone DB003+ phone as it has a built-in 2 megapixel rear camera and a 0.3 megapixel front camera. Please your eyes by setting them upon the 4 inch display which has a 480x800 resolution thats good when it comes to watching videos and photos as well as gaming. 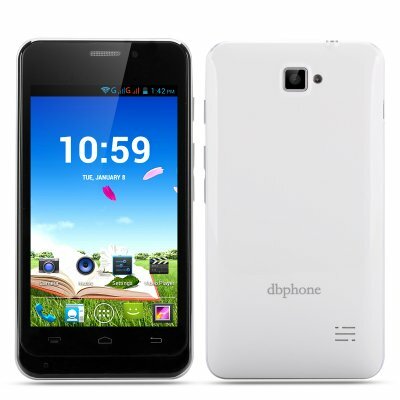 If you lead two lives, you can balance it by managing it on this DBphone DB003+ phone as it has two SIM card slots.